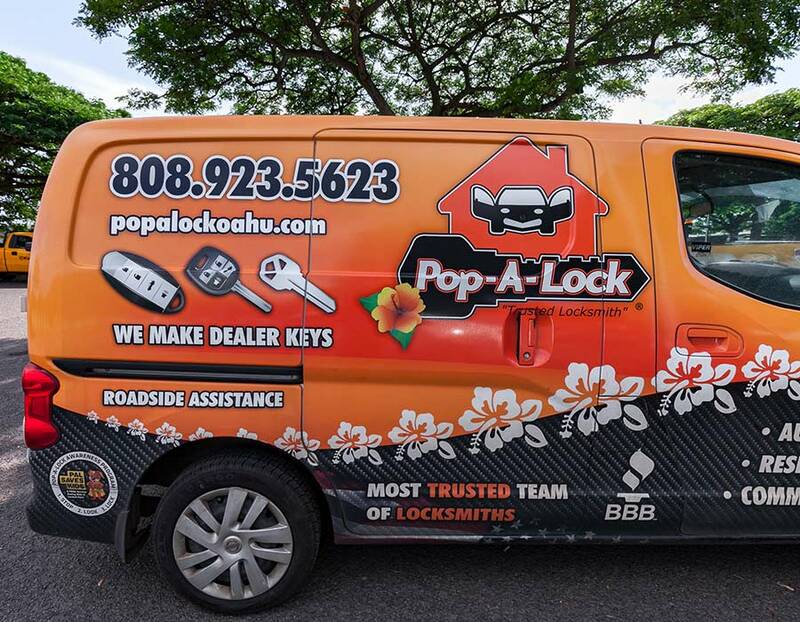 The staff at Pop A Lock of Oahu has made us the #1-rated locksmith in Honolulu! This page is to help you identify our employees when they arrive to help you. Unfortunately, there are a lot of "scammer" companies out there that pose as Pop A Lock using legitimate ads but, try to force the client to pay a high fee for services. 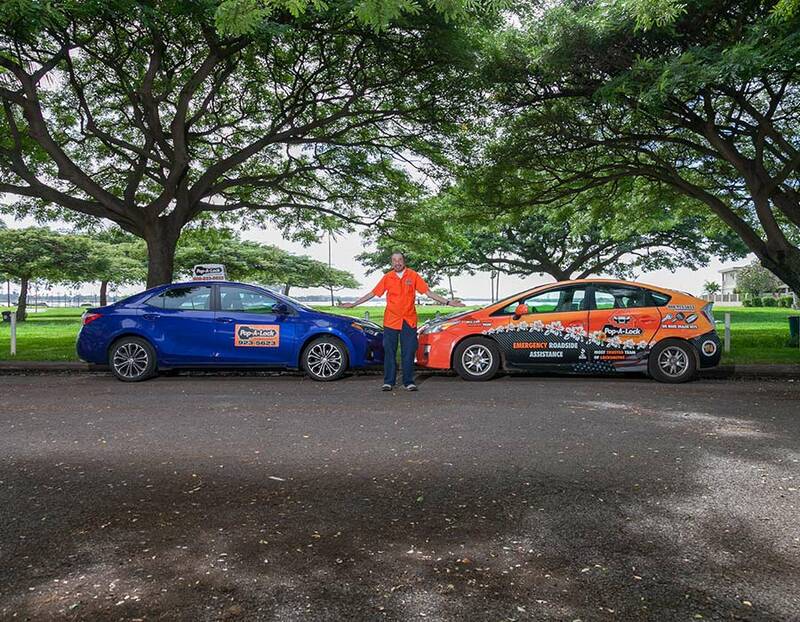 This page will help you to easily identify our employees and vehicles and give you peace of mind knowing what authorized employees look like. 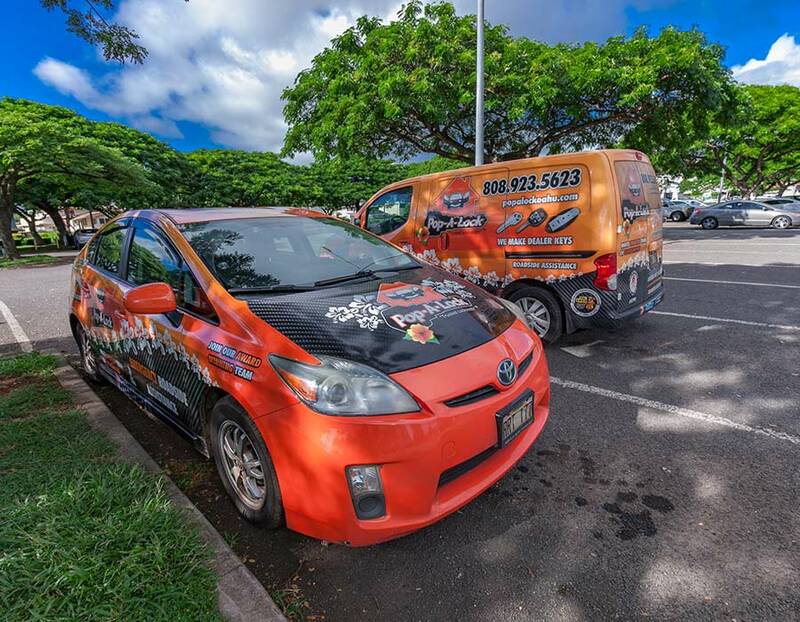 If they don't look like this, refuse service and call 808.923.5623. 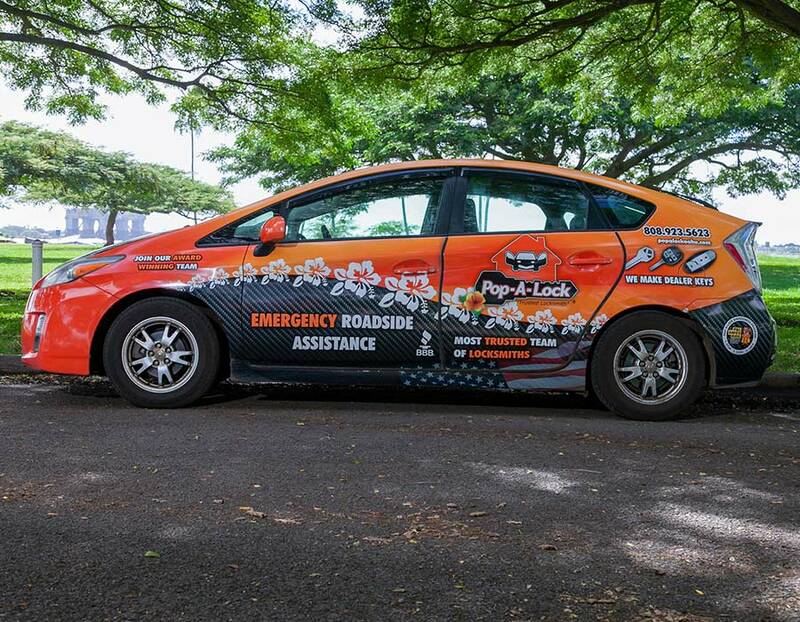 Our roadside techs will arrive wearing the approved Pop A Lock uniform: An orange shirt with the Pop A Lock logo on the front and black pants/shorts. 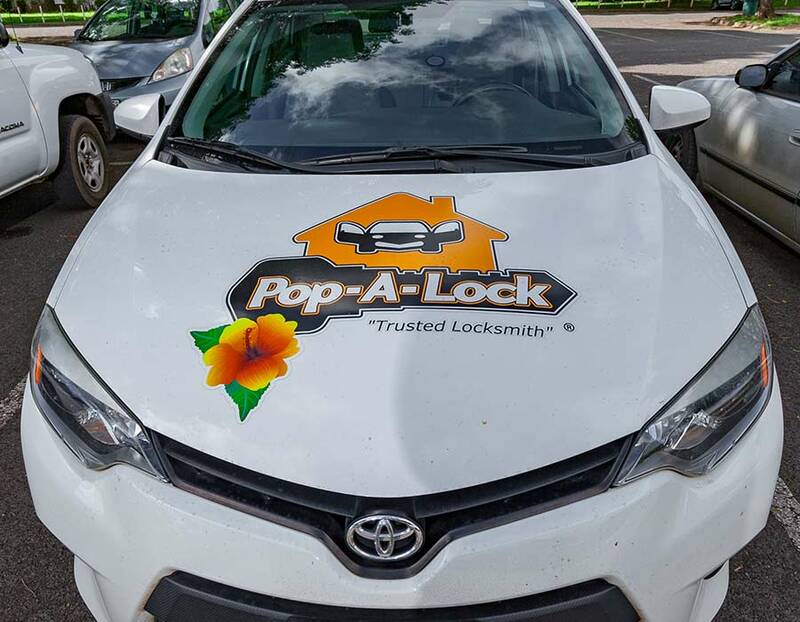 They will be driving vehicles clearly marked with the Pop A Lock logo. 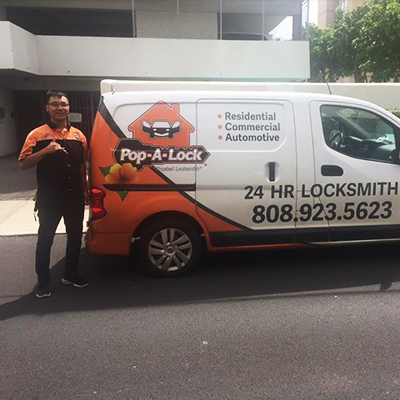 Our Locksmiths will arrive wearing a Black & Orange shirt imprinted with the Pop A Lock logo. They will also be driving clearly-marked company vans that have the Pop A Lock logo/graphics displayed on the front/sides. Rolan has completed the rigorous Pop A Lock Corporate training course and has 4 years of experience to serve you! 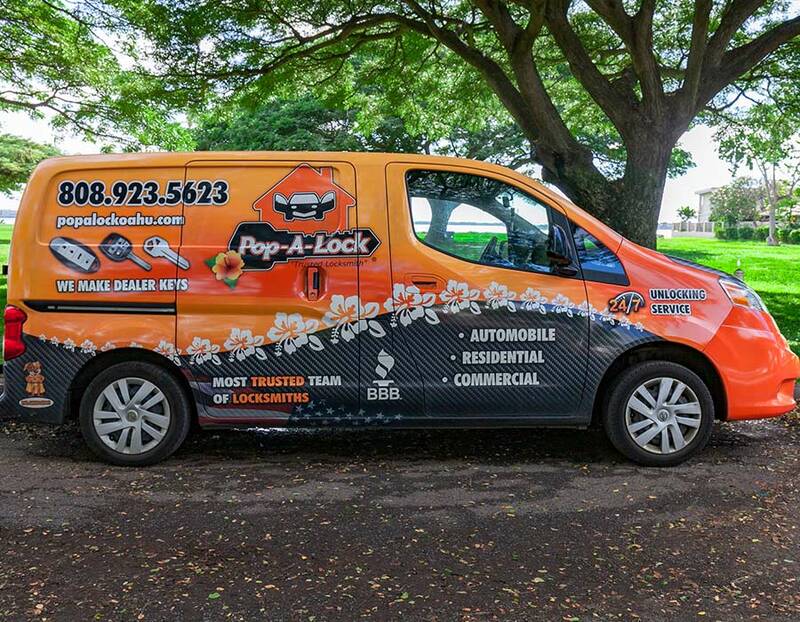 All of our vehicle are easy to identify and prominently display the Pop A Lock logo. 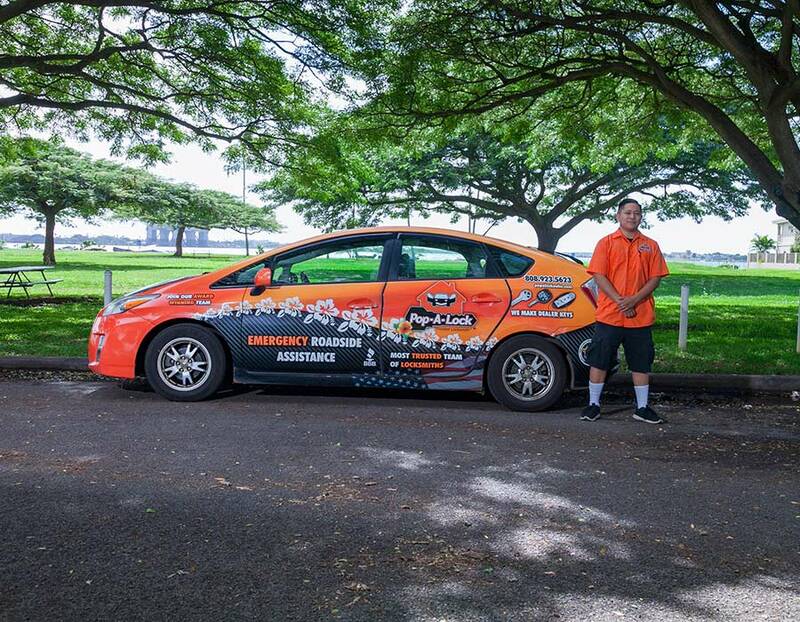 None of our techs/locksmiths will ever arrive in personal vehicles. We are seeking a reliable, hardworking self-starter who is able to work independently while also being a dependable part of our team. The ideal candidate is mechanically inclined, with good problem-solving skills , able to communicate well and has excellent customer service skills. Must be courteous and honest; clean and neat in appearance. We are military-friendly and appreciate the value of military experience. Candidates for consideration must clear a background check and a drug screen, and must have a valid driver's license with a clean driving record. 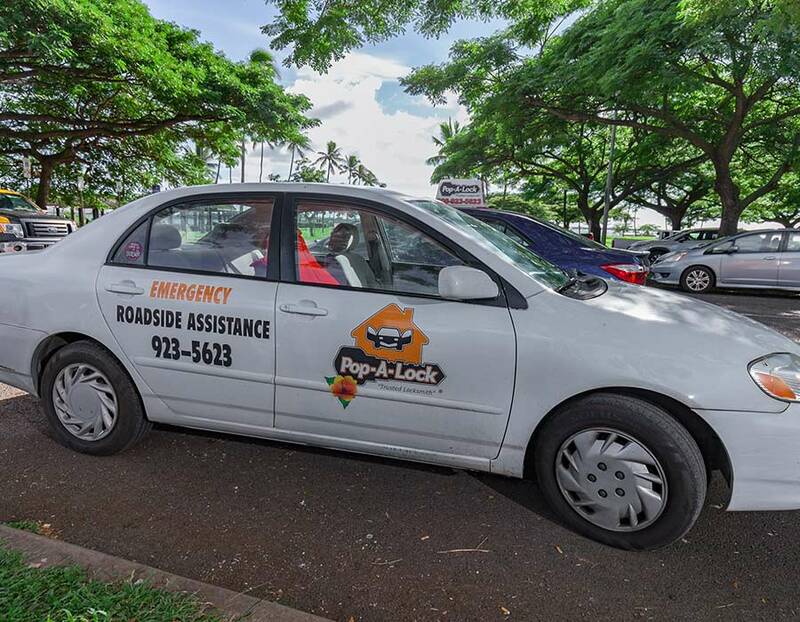 The successful candidate will start out in training to learn the technical aspects of the four basic services for roadside assistance which include car door unlocking, jump starts, gas delivery, and tire change. COMPENSATION -$10.10 Hourly rate while training -Guaranteed minimum/commission-based once trained of $28,000 annual salary with a maximum potential of $45,000. REQUIREMENTS - Courteous personality with excellent customer service skills - Dependability, integrity and honesty a must - Able to work weekends/evenings/holidays - Favorable references - Clean driving record - Drug free - No felony convictions. This position is ideal for auto enthusiasts, Towing providers that want more stability and a better working environment, and a person that prefers to work independently but have support of a powerful dedicated team, and also enjoy being the hero of the day. Medical, Dental, and Vision benefits. Year end superstar awards and bonuses and managerial and locksmith opportunities available for the right candidate. 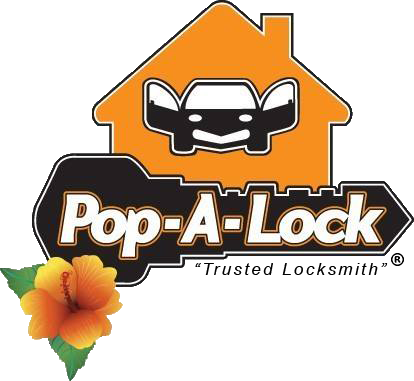 Pop-A- Lock Honolulu is growing and we have an opening for an experience locksmith or locksmith trainee. This is a great opportunity for someone who has very technical and customer service skills who wants to learn a new trade. PTO after 1 year of service, health and dental, and additional perks. Salary: Competitive. Depends on experience.